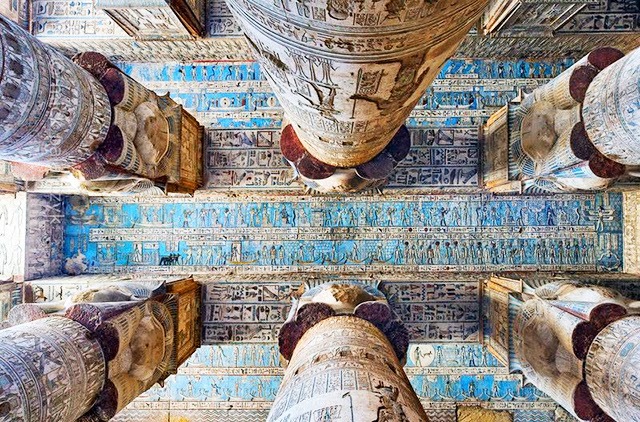 Khem was an ancient name for the land of Egypt; and both the words alchemy and chemistry are derived from it. Egypt, likely because of the color of its fertile soil, was called "the black empire" and is referred to in the Old Testament as "the land of darkness." Alchemy has long been known as "the black art," not in the sense of evil but in the sense of that darkness which has always enshrouded its secret processes. The Chaldeans, Phoenicians, and Babylonians were familiar with the principles of alchemy, as were many early Asian races. It was practiced in Greece and Rome; was the master science of the Egyptians. According to the fragmentary writings of those early peoples, alchemy was to them no speculative art. During the Middle Ages, alchemy was not only a philosophy and a science but also a religion. Those who rebelled against the religious limitations of their day concealed their philosophic teachings under the allegory of gold-making. In this way they preserved their personal liberty and were ridiculed rather than persecuted. Scientists at Zurich-based DNA genealogy center, iGENEA, have reconstructed the DNA profile of King Tut, his father Akhenaten and grandfather Amenhotep III. Researchers discovered that King Tut belonged to a genetic profile group known as haplogroup R1b1a2. More than 50 per cent of all men in Western Europe belong to this genetic group as do up to 70 per cent of British men. But among modern-day Egyptians, less than 1 per cent of residents belong to this haplogroup, according to scientists. 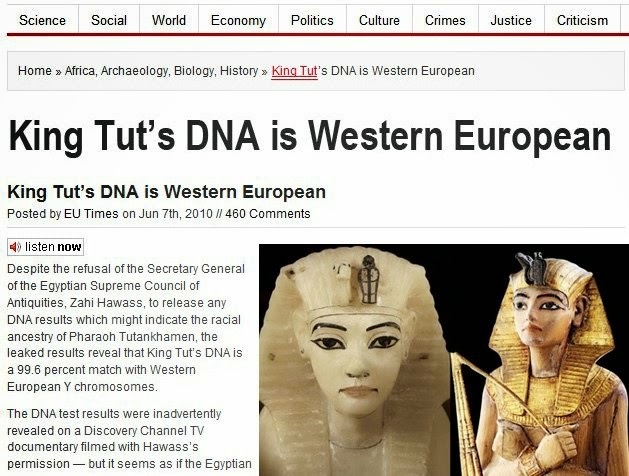 King Tut and Europeans share a common ancestor genetically who lived in the Caucasus region, the blue-eyed race spreading out with agricultural about 9,500 years ago. The geneticists were not sure how Tutankhamun’s paternal lineage came to Egypt from its region of origin, though it is clear that technology such as chariots and domesticated horses was introduced from a foreign source. Along with the discovery, researchers made another announcement this week: they will conduct testing to find which modern-day European is the closest living relative of King Tut. “The offer has only been publicized for three days but we have already seen a lot of interest,” Roman Scholz, lead director at the DNA genealogy center in Zurich, Switzerland. Dating almost 6,000 years to the Pre-dynastic period of ancient Egypt, this figure is of a man, with a shaven head and a long pointed beard. 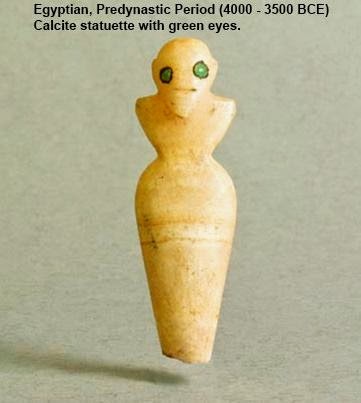 There is little detail on the figure but what there is, is concentrated on the face, his eyes are inlaid with light green stones and are the most arresting part of the figure. This is already typical of Egyptian art - they are obsessed with the eyes and more attention is usually given to them than almost any other aspect of a person. Louvre, Paris, France. Archaeologists in Egypt have recently unearthed a beautiful 5,000+ year-old wooden statue, complete with gold wrapping paper and precious lapis lazuli stones as striking blue eyes, dated from Egypt's pre-dynastic era (3,700-3,200 BC), before the age of pharaohs, among the oldest such artifacts ever found to date. 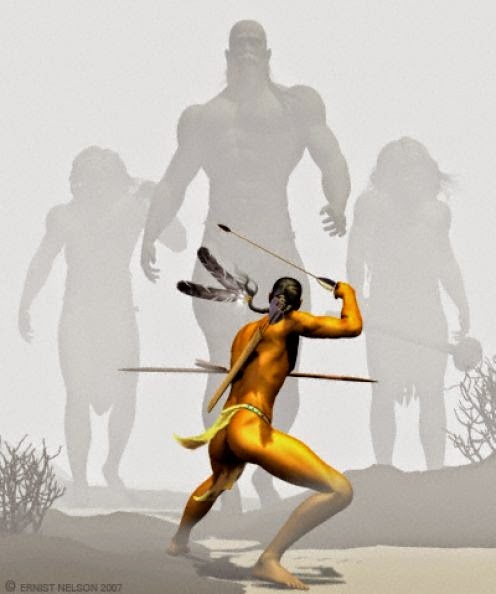 According to Paiute Indian oral legends, a tribe called the Si-Te-Cah were a native American race of tall red-haired giants that once occupied the area in the distant past. Amazingly, 9,400 year old Mummified remains were indeed found in a cave in Nevada, though scientific study is NOT allowed on the remains for political reasons. Sarah Winnemucca Hopkins, a prominent female Native American activist, educator, and daughter of Paiute Chief Winnemucca, related many stories passed down in her tribe, first hand, about the Si-Te-Cah in her book Life Among the Paiutes, published in 1883. "My people say that the tribe we exterminated had red hair. I have some of their hair, handed down from father to son. I have a dress which has been in our family a great many years, trimmed with the reddish hair. I am going to wear it some time when I lecture. It is called a mourning dress, and no one has such a dress but my family." The oldest mummies in the world are the Chinchorro mummies from northern Chile and southern Peru. While the earliest Egyptian artificial mummy dates to around 3000 BC, the earliest Chinchorro artificial mummy dates to around 5050 BC. And while the earliest Egyptian natural mummy (red-head named "Ginger") dates to around 3400 BC, the earliest Chinchorro natural mummy dates to around 7020 BC. The Chinchorro culture was the only Andean culture that performed mummification on all members of their society. In all of the other Andean cultures, only the elite were mummified. 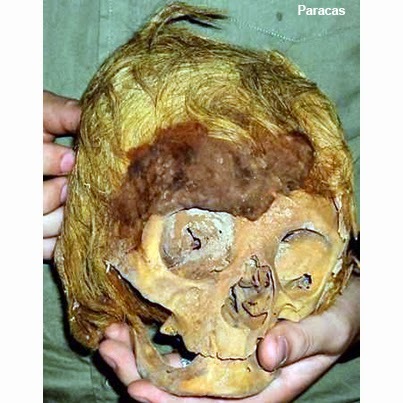 These photographs of Chinchorro mummies show that they have Caucasoid hair and features. This may mean that only the Chinchorro culture consisted exclusively of Caucasoids, and that all of the other Andean cultures were comprised of a Caucasoid elite ruling over a Mongoloid proletariat. "Native Races of the Pacific States" by Hubert Bancroft, published in 1874, Bancroft says that in Peru there were "numerous vague traditions of settlements or nations of white, bearded men, clad in long robes, who regulated the calendar, and were possessed of an advanced civilization". 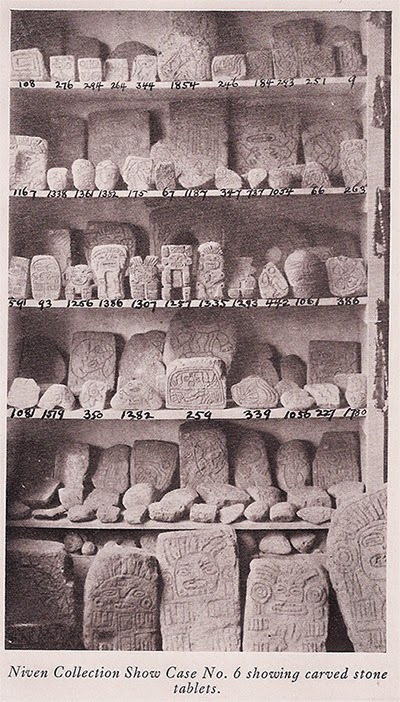 A major burial site of the Nazca culture was the Chauchilla Cemetery, established in 200 AD, used for 600 to 700 years. The hair of the mummies are obviously Caucasoid and they’re all wearing long robes. 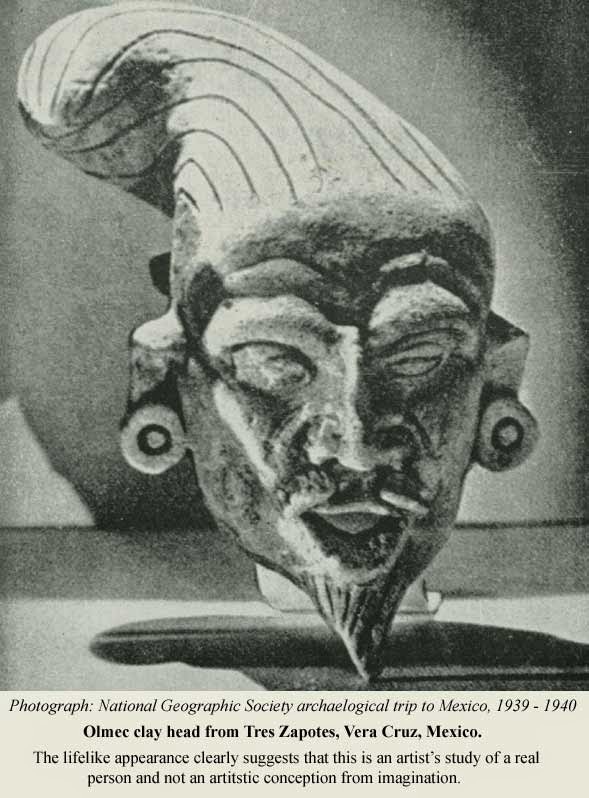 The ceramic vessels were produced by the Moche culture (100 to 800 AD), they all have beards, their facial features are Caucasoid, and again, they’re all wearing long robes. The photograph below of the village Wari mummies, one of the many pre-Inca peoples who inhabited the area now known as Lima in Peru. 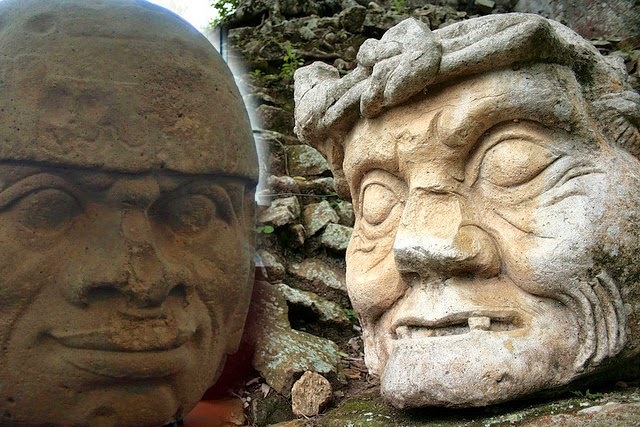 They were directly taken from a pyramid bearing the blue-eyed masks you see in the picture. Besides the mummy wrapped in six layers of wool, needles were found and other textile materials. 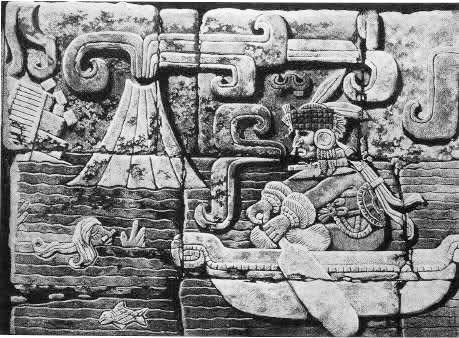 All over the New World we find legends of Quetzalcoatl (by Aztecs), Kukulkan (by Mayans), Amalivaka (by Tamanacs), Manco-Capac (by Incans), Viracocha (by Aymaras). All of them describe: a tall white man, blue eyed, with long blond-reddish hair and beard. Numerous PRE-HISPANIC Caucasian mummies have been found in South America with fair hair, some with blue stones covering the eyes, as well as gold masks with similar striking blue eyes, matching the legends of the pale-skinned Sun-gods. Two thousand years ago a mysterious and little known civilization, with a blue-eyed elite, ruled the northern coast of Peru. 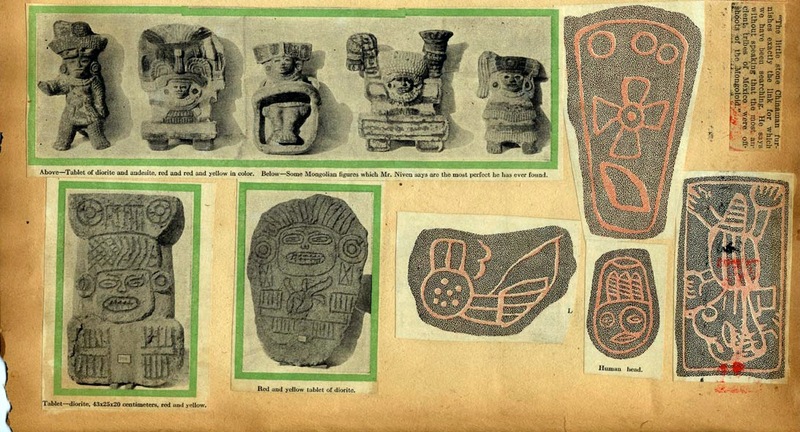 Its people were called the Moche. 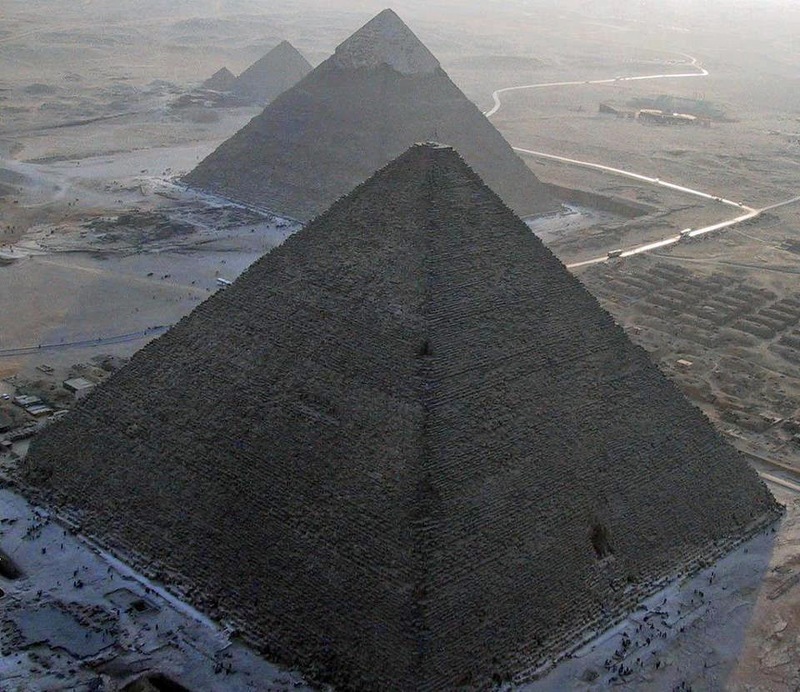 They built huge pyramids that still dominate the surrounding countryside; some well over a hundred feet tall. 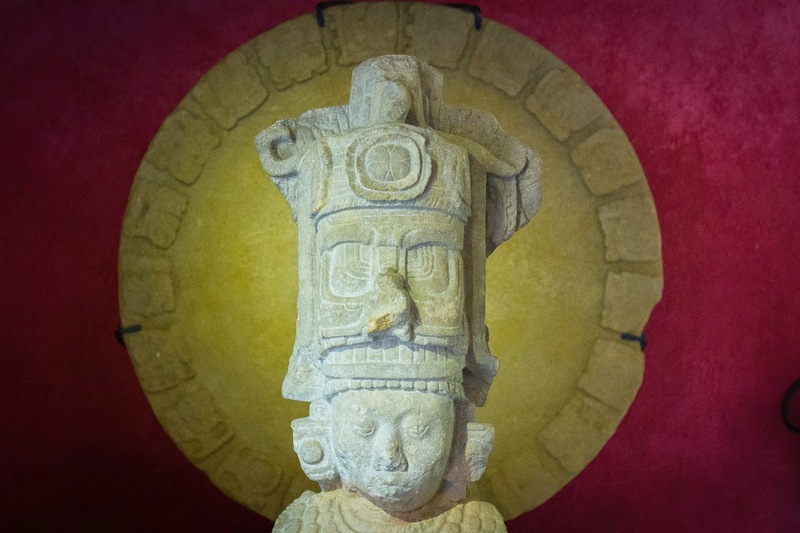 The Lord of Sipán tomb is held by some archaeologists to be one of the most important archaeological discoveries in this region of the world in the last 30 years, as the main tomb was found intact and untouched by thieves. Pizarro asked who the white skinned redheads were. The Inca Indians replied that they were the last descendants of the Viracochas. The Viracochas, they said, were a divine race of white men with beards. 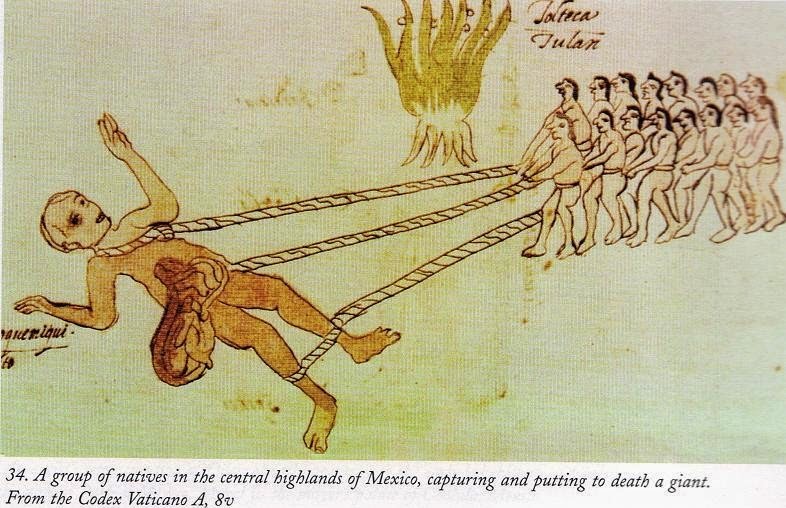 They were so like the Spanish that the Europeans were called Viracochas the moment they came to the Inca Empire. The Incas thought they were the Viracochas who had come sailing back across the Pacific. (Heyerdahl, ibid., page 253). 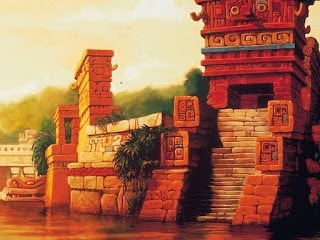 According to the principal Inca legend, before the reign of the first Inca, the sun-god, Con-Ticci Viracocha, had taken leave of his kingdom in present day Peru and sailed off into the Pacific with all his subjects. When the Spaniards came to Lake Titicaca, up in the Andes, they found the mightiest ruins in all South America - Tiahuanaco. They saw a hill reshaped by man into a stepped pyramid, classical masonry of enormous blocks, beautifully dressed and fitted together, and numerous large statues in human form. They asked the Indians to tell them who had left these enormous ruins. The well known chronicler, Cieza de Leon, was told in reply that these things had been made long before the Incas came to power. They were made by white and bearded men like the Spaniards themselves. (Heyerdahl, ibid., page 253). The White men had finally abandoned their statues and gone with the leader, Con-Ticci Viracocha, first up to Cuzco, and then down to the Pacific. They were given the Inca name of Viracocha, or "sea foam', and vanished over the sea. 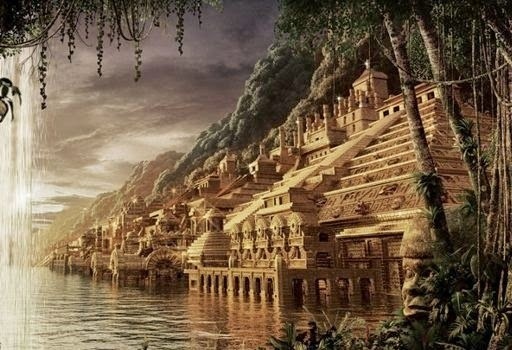 Archeologists have discovered a lost city deep within the Amazon rain forest of the long-lost tribe of white-skinned, blonde-haired people called the Cloud People. The Cloud People, also known in legend as “the white warriors of the clouds” established expansive pre-Inca kingdom located in the northern regions of the Andes in present-day Peru. 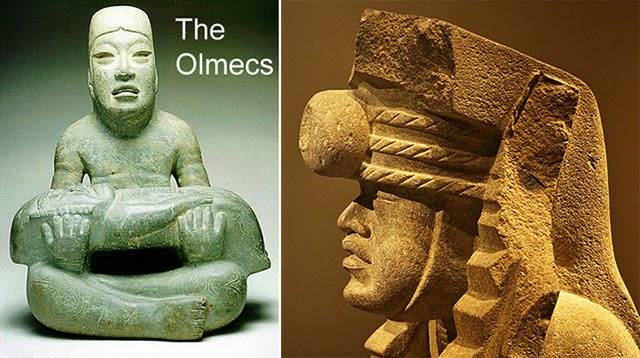 Other pre-Hispanic groups referred to the Cloud People... as “White Gods” due to their height, blonde hair and blue eyes. According to Inca legend, the Chachapoyas remembered that their ancestors came from the East. Aztec codices are books written by pre-Columbian and colonial-era Aztecs. 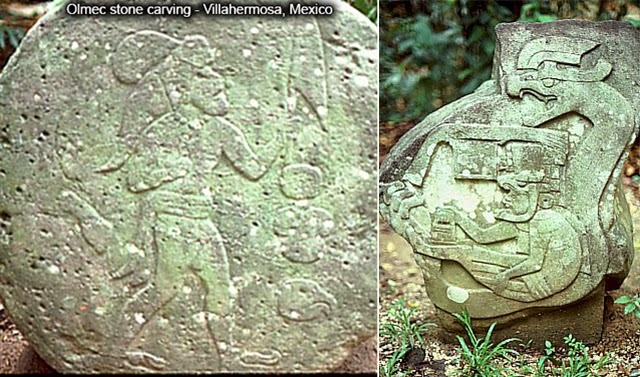 Note that the giant pictured below has a name near him, the text reads Quinametzin, one of the old ones. 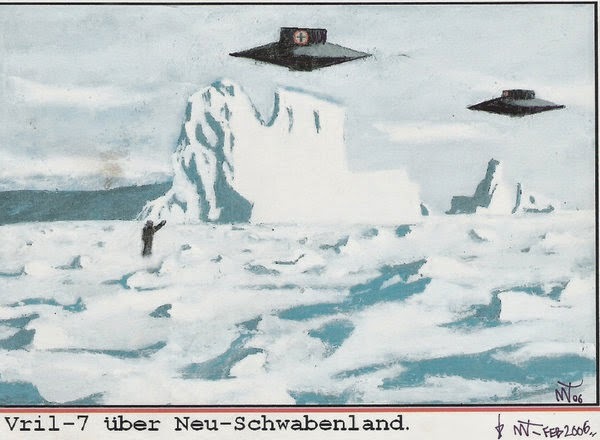 In 1943, German Navy Grand Admiral Karl Doenitz stated that the German submarine fleet had “built for the Führer an impregnable fortress at the other end of the world,” in the region of Queen Maude’s Land, Antarctica, later renamed Neuschwabenland. According to German naval archives, two months after Germany surrendered to the Allies in April, 1945, the German submarine U-530 left the Port of Kiel bound for Antarctica. Once the submarine arrived at the South Pole, 16 members of its crew were ordered to construct an ice cave in the region of Neuschwabenland. The German U-boat then entered the Argentinean port of Mar-del-Plata and surrendered to authorities. 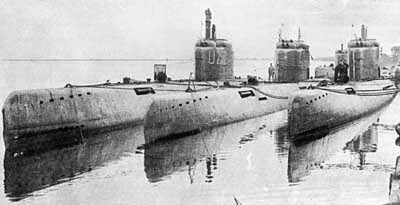 In August, 1945, one month and seven days after the surrender of U-530, U-977 also entered the waters of Mar-del-Plata and surrendered to authorities. 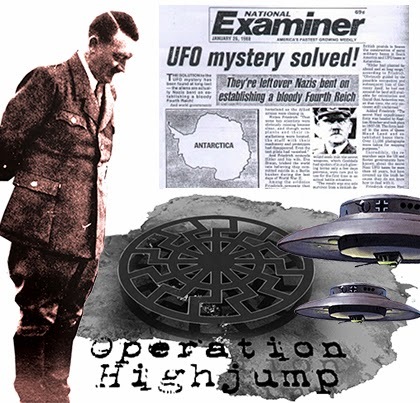 In 1946, Operation Highjump commenced as part of the U.S. Naval Antarctic Developments Project, organized by Secretary of the Navy James Forrestal.The task force consisted of over 40 ships, including two destroyer class vessels and the aircraft carrier the U.S.S. Philippine Sea, and a number of planes that were outfitted with a trimetricon (a secret spying camera), a magnetometer (to record any magnetic anomalies), and the recently developed jet-assist takeoff bottles (JATO) which helped with takeoffs from the short runway on an aircraft carrier or for takeoffs on hard ice. It has been long thought by researchers that the Navy’s mapping story was nothing more than a cover to shield the real operation. They were looking for the underground Nazi base (Base-211) that warehoused German Vril flying discs known as flugscheiben and Thule mercury-powered spaceship prototypes also known as jenseitsflugmaschines. In 1947, Admiral Richard Byrd said, “the project was necessary for the USA to take defensive actions against enemy fighters which come from the polar regions.” Was he referring to potential Soviet aircraft or Nazi Luftwaffe attacking the States from Antarctica? He never clarified. Shortly after Admiral Byrd’s press conference the Soviet naval journal, Red Fleet, stated that “US measures in Antarctica testify that American military circles are seeking to subject the Polar Regions to control and create permanent bases for their armed forces.” In another odd twist, the governments of New Zealand, Australia and Chile asked for their militaries to join the Operation Highjump expedition but were denied participation. In 1948, a second task force named Operation Windmill was also sent to take photographs of Neuschwabenland, again supposedly for mapping purposes. Although they apparently succeeded in their task, the government has yet to make these photos available to the public and no reason has ever been given for their nondisclosure. Some believe that the reason the photos have never been released is that this military operation was actually a reconnaissance and recovery mission. In 1949 Secretary of Defense James Forrestal, a close friend of Admiral Byrd, was sent to stay at Bethesda Naval Hospital. He began to discuss Operation Highjump with the hospital staff, talking wildly about UFOs, Atlantis, and an underground Nazi city. He was denied visitors, including his wife, and shortly afterwards "fell" out of his hospital window to his death. The official report said that he committed suicide but persistent rumors say that he was murdered by government agents to keep him from talking further about what was really found in the Antarctica wilderness during Operation Highjump. The entire truth of the matter may never come to light, but what is known is that numerous U.S. military personnel surprisingly lost their lives during Operation Highjump; a supposed mapping operation that should have been an entirely safe endeavor. Also, multiple planes were downed during the operation, including the George One which, according to Naval documents, mysteriously “just blew up” over the ice during its initial flight in Antarctica. According to British Intelligence, we know that advanced, stealth foo fighters and Vril flying saucer-shaped craft were developed and tested at the German Institute for Aerial Development. Another motive associated with Nazi involvement in Antarctica is that it was rumored to be the entrance to the lost Aryan homeland of Thule. While Antarctica has been linked to the lost continent of Atlantis, the linkage to Thule is less apparent. Thule (also known as Thula, Thyle, Thila, Tila, Tyle, or Tylen, among other cognates) was first written about by the Greek explorer Pytheas after his travels between 330 BC and 320 BC. In 150 AD, Greek writer Antonius Diogenes wrote The Wonders Beyond Thule. While of literary interest, this work did little to reveal any secrets about Thule. 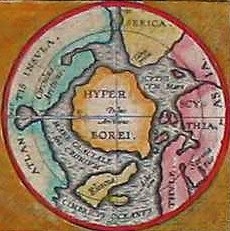 In medieval geographies Thule was referred to as distant place located beyond the “borders of the known world.” Occult mystics believe in historical Thule (also referred to as Hyperborea) as the ancient origin of the Aryan race. Just what was the US military doing in Antarctica in 1946 and 1947? Were they on a routine mapping mission or were they engaging remnant Nazi fighters with advanced alternative technology? Did the Nazis truly build a military base in the Antarctic or hide vast amounts of gold there in hopes of funding a future effort to resurrect the Fourth Reich? Or did they, as some claim, discover the lost land of Atlantis or Thule? We may never know for sure, but in 2001 the U.S. National Geospatial-Intelligence Agency and the Support Office for Aero-geophysical Research confirmed the existence of a magnetic anomaly on the eastside shore of Lake Vostok in Antarctica, consistent with a man-made construct. More recently, in October 2006, the Scripps Institute of Oceanography reported that they discovered several previously unknown lakes of water underneath the vast ice sheet of Antarctica. These lakes lie beneath 2,300 feet of compressed snow and ice. Could this anomaly be part of an underground Nazi base that U.S. agents searched for during Operation Highjump? Something has indeed been discovered in Antarctica. One of the questions that begs to be asked is did the Nazis find, whatever it is, first? A book published in 1978, called Secret Nazi Polar Expeditions, relates how the Germans had taken a ship with a small airplane on it that they launched from their ship after reaching the ice near Antarctica. It flew over the ice to Antarctica, presumably on a scouting flight, and then back to the ship. But the book didn't say anything about what it supposedly found or what the Nazi party elite believed was an entrance to the inner (hollow) earth. An interesting document has recently surfaced obtained by a Joe Watson of Talkeetna, Alaska. Mr. Watson claims it is a copy of a letter written on 2 March 1985 in the German language from a German submarine crewman who was on board. In it is given certain coordinates for their mission, which apparently was to travel to the center of the earth. Their submarine was called U-209 under Captain Heinrich Brodda. 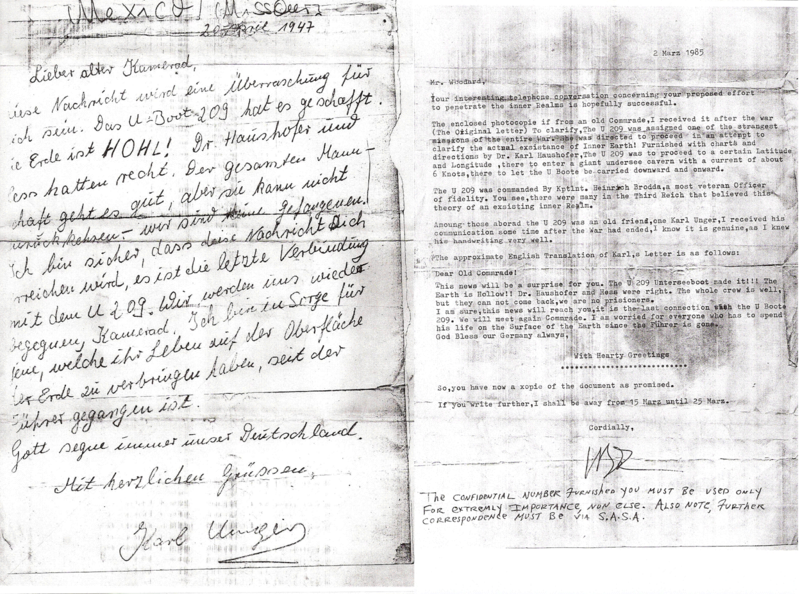 The image below is a copy of the original hand-written letter from Karl Unger, crew member of the German U-209, as well as an English translation (click to enlarge). In it Karl confirmed that the earth was indeed hollow and that they had successfully reached the inner inhabited earth in the German U-209 submarine after World War II had destroyed Germany. The letter was sent to his friend here on the surface world who gave a copy of it to a Mr. Woodard, who gave a copy to Joe Watson. Karl had sent the letter from the hollow earth through a German colony in Brazil that had found a cavern that reaches to the hollow earth many years previous. This German colony in Brazil is documented in Genesis For a New Age, having supposedly discovered the cavern entrance back in the 1500's. When one does a search at the German archive website looking for information on the missing U-209 German submarine, it shows that the submarine was indeed reported missing. On July 5, 1943 was it's last reported position between Greenland and Iceland at coordinates 52°00'N-38°00'W. The report said the Commander of the submarine was Heinrich Brodda. In addition, documents obtained by the soviets at the close of WW2 recently surfaced which shows a 1944 map from the Third Reich detailing not only the direct passageway used by German U-boats to access this subterranean domain, but also a complete map of both hemispheres of the inner realm of Agharta, the mythical name of the inhabited subterranean world (click image to enlarge). If that seems too unbelievable, compare with those maps, this map done by the famed Tyrolean cartographer and artist Heinrich C. Berann for the National Geographic Society beginning in 1966. The map to the left clearly shows the continent of Antarctica without its cover of ice. The intriguing detail here is that there are underwater passageways that run nearly the entire length of the continent and seem to converge at the exact location identified as the opening into the deep inner or subterranean earth. Below is a translation of the Top Secret instructions and specific detailed directions left for the Nazi U-boat Captains to follow in order to reach the inner-world kingdom of Agartha (click to enlarge). 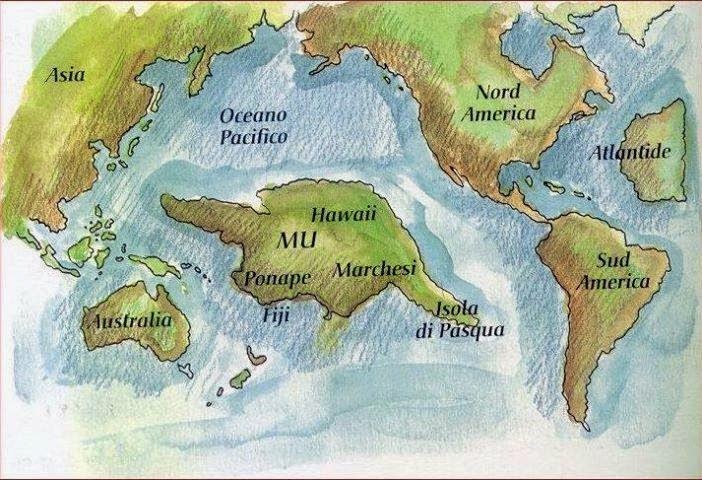 In his groundbreaking bestseller Map of the Ancient Sea Kings, Charles Hapgood (1904-1982), History Professor at Springfield College in Springfield, Massachusetts, first put forth the theory that Atlantis resided in Antarctica and was destroyed by crustal displacement. 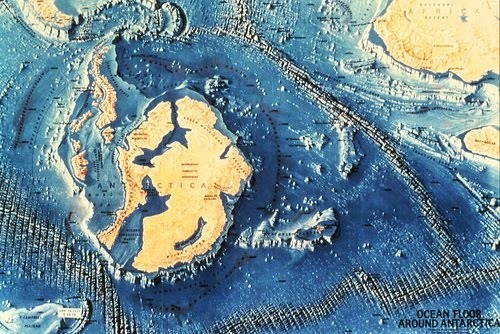 In his bestseller, When The Sky Fell: In Search of Atlantis, Rand furthered this idea that under the ice of Antarctica exists the remains of Atlantis. Could they be right? "When the star Bal fell on the place where is now only sea and sky the Seven Cities with their Golden Gates and Transparent Temples quivered and shook like the leaves of a tree in storm. And behold a flood of fire and smoke arose from the palaces. Agony and cries of the multitude filled the air. They sought refuge in their temples and citadels. And the women and the men in their precious stones and shining garments lamented: 'Mu, save us.' And Mu replied: 'You shall die together with your slaves and your riches and from your ashes will arise new nations. If they forget they are superior, not because of what they put on, but of what they put out, the same lot will befall them!' Flame and smoke choked the words of Mu. The land and its inhabitants were torn to pieces and swallowed by the depths." Below is the translation of a Maya manuscript which is part of the famous collection of Le Plongeon, the Troano manuscript. It can be seen in the British Museum. 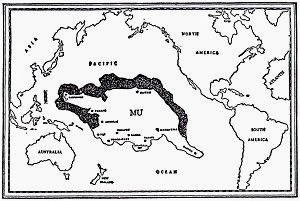 "In the year of 6 Kan, on the 11 Muluc, in the Month Zac, there occured terrific earthquakes which continued without interruption until the 13 Chuen. The country of the hills of mud, the Land of Mu, was sacrificed. Being twice upheaved it disappeared during the night, being continually shaken by the fires of the under earth. Being confined these caused the land to sink and rise several times and in various places. At last the surface gave way, and then ten countries were torn asunder and scattered. They sank with their 64,000,000 of inhabitants 8,000 years before the writing of this book." 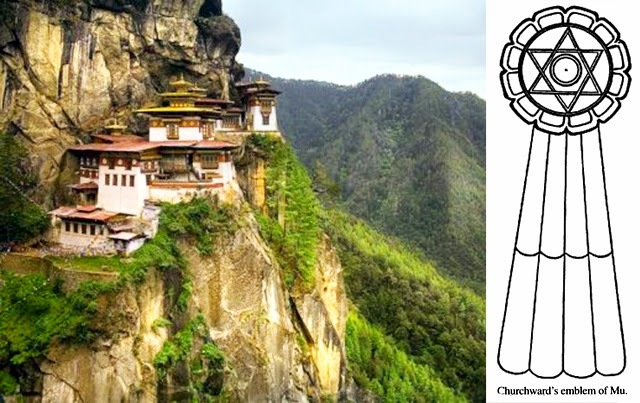 How account for these two stories - one from Tibet, the other from Central America, each mentioning the same cataclysm and each referring to the land of Mu? The little crew found a safe landing at the mouth of one of the rivers that flow from the present Mexico territory into the Pacific Ocean. 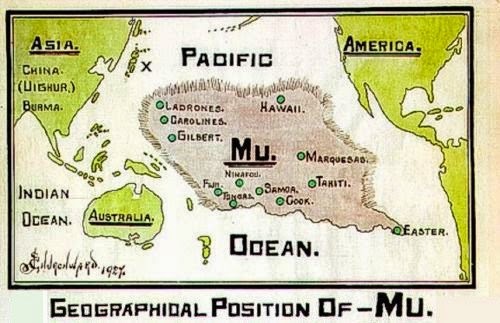 They explored the land, found it fertile, then returned to the Continent of Mu. They sailed eastward again, this time accompanied by a large band of fellow colonizers. Great astonishment was expressed by world-famous archaeologists when they were confronted with these pieces of stone on which there were inscribed characters to them absolutely indecipherable. They surmised that here was some message which might reveal the story of primitive ancient man in America. But it was still a mystery because they did not have the key. Meanwhile events were shaping themselves underneath the continent in a way that was to put an end to this game of destruction and reconstruction. A great gas chamber, hundreds of miles long, was being tapped under the valley – a gas chamber of the same kind that proved the final undoing of the Motherland itself. It was tapped by passages leading from active volcanic centers still lower down. We do not know the exact process, but we can be sure that the valley crust at last split in several places, broken by the enormous pressure of the gases beneath and the fighting civilization found itself confronted, not with a tidal wave of water but with waves of molten lava which scorched the countryside. Then the valley floor, weakened throughout, collapsed altogether, and prehistoric man of America disappeared into a bottomless gulf of flame. It is not to be wondered at, then, that orthodox scientific doctrine has held that America was never the scene of very early human activity. Nature had closed the book of records with a seal of steam and fire, and it is only now that we have permitted to reopen it. Too much credit cannot be given to Niven for his painstaking, often discouraging work in excavating around obscure little Mexican villages and farms.